You have the option to turn on a permission for a co-broke to be added to your disbursement. 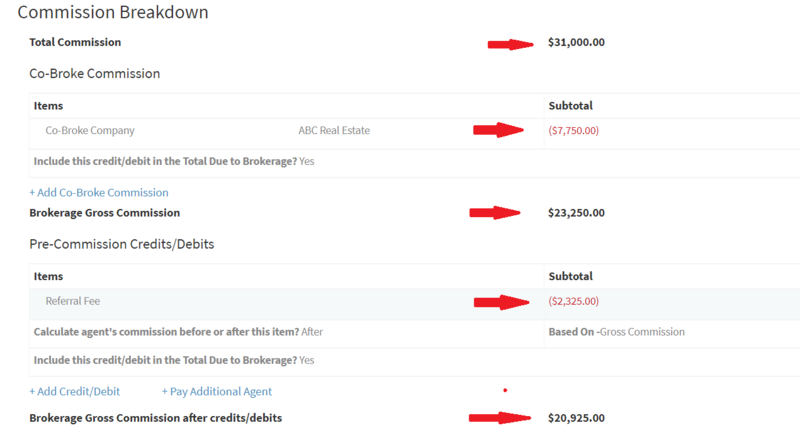 This option would deduct the co-broke fee, then calculate the any additional pre-commission credit/debits and the agents split. 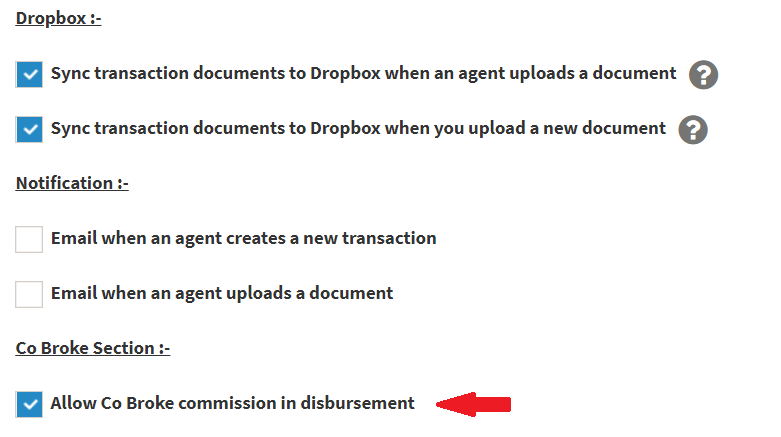 To turn on this permission go to settings>permissions>Allow co-broke commission on disbursement. Include this co-broke in the Total Due to Brokerage- this is for display purposes on the disbursement in the line item Total Due to Brokerage. 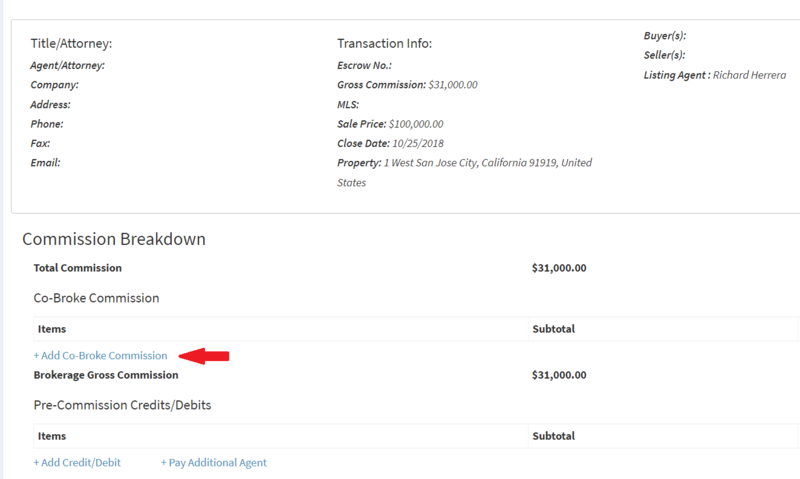 If you want this fee to be include in the total amount due to the brokerage. 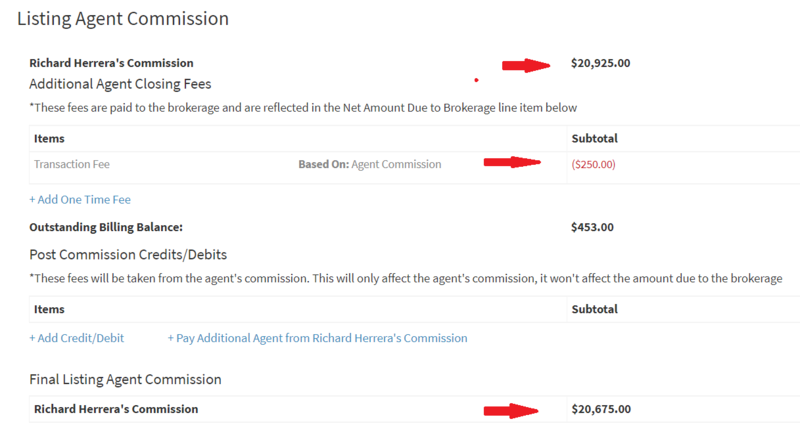 You can see the below the co-broke amount is deducted off the brokerage gross and then you get the brokerage gross after the co-broke fee. 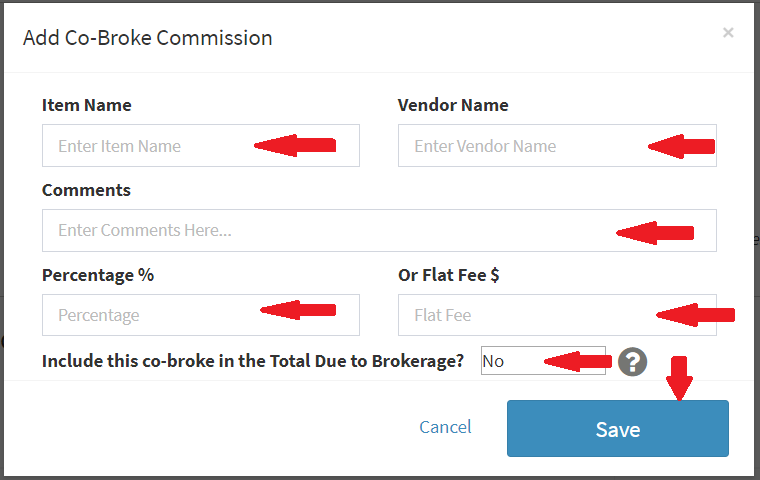 Then you will see the pre-commission debit is deducted off the brokerage gross after the co-broke fee is deducted. 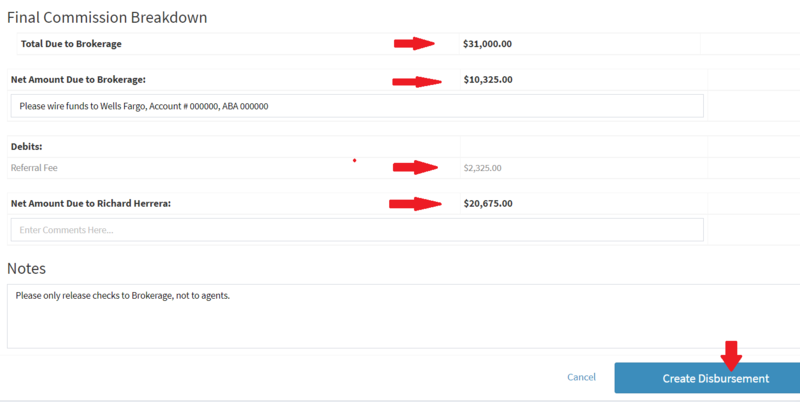 Then you can see the agents commission and any credits and debits. Then you have your final commission breakdown at the bottom. 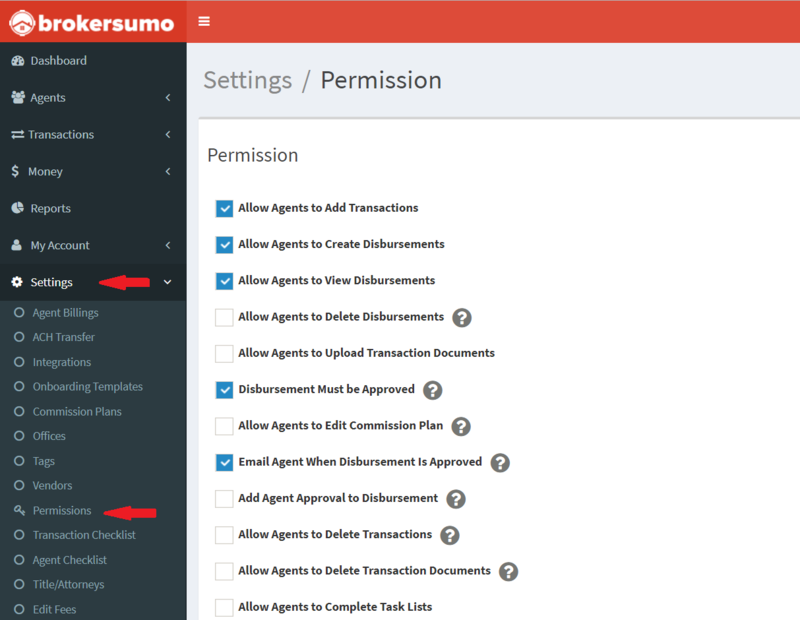 Then you can create the disbursement and that will save the financial information in the system.